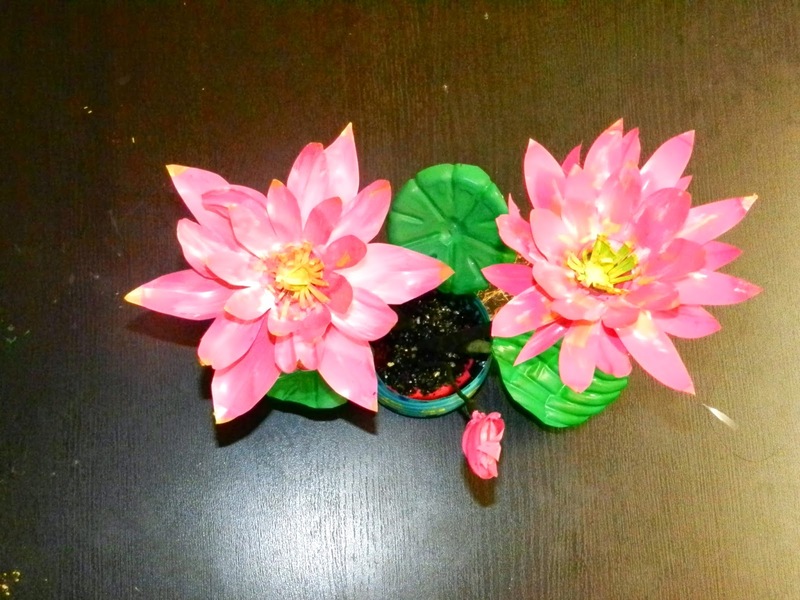 Creative DIY crafts: Recycled DIY: LOTUS flowers with waste water bottles! 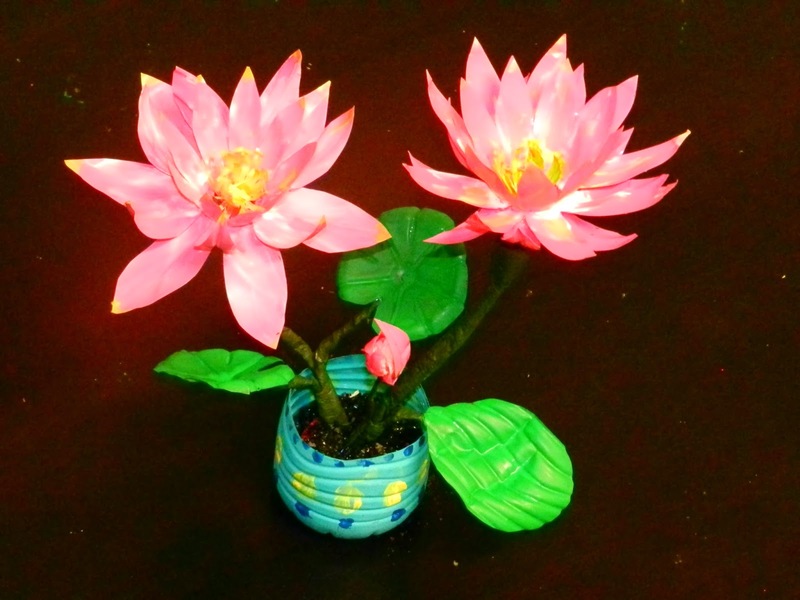 Recycled DIY Crafts by Saranya Jothi Mani! 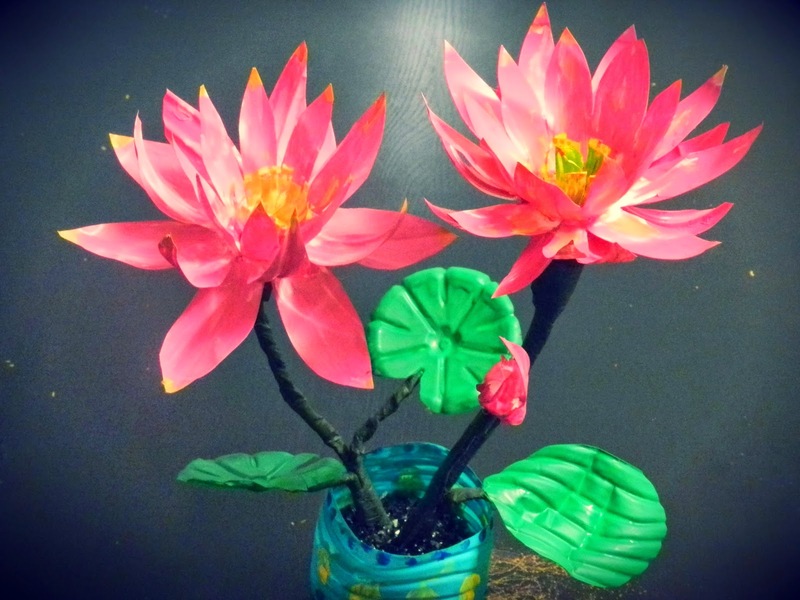 Recycled DIY: LOTUS flowers with waste water bottles! This is a beautiful craft to decorate our home... HERE is the tutorial of making LOTUS flowers with water bottles.. 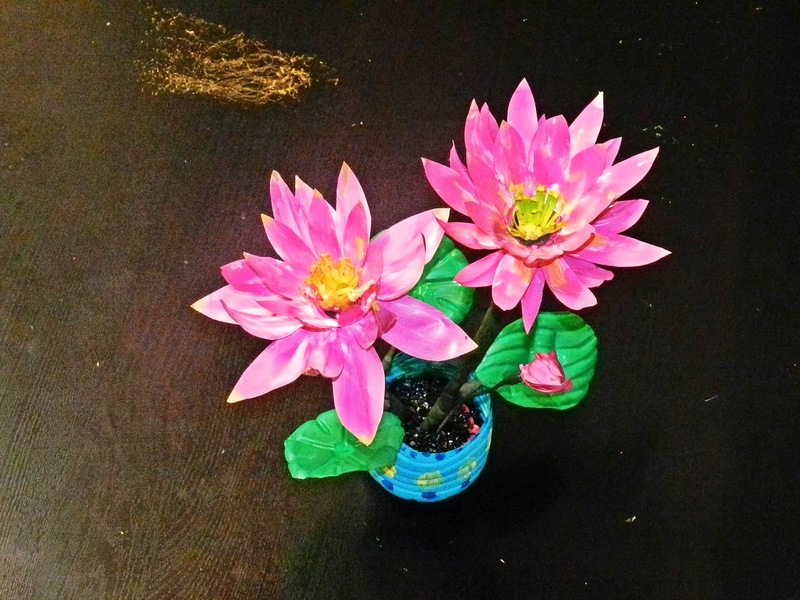 Flower shaped pen stand (holder) with tissue paper holder and foam sheets! Paper plate hanging craft with beads and pumpkin seeds! Waste water bottle flower vase! Bubble cover Rangoli cardboard wall craft! 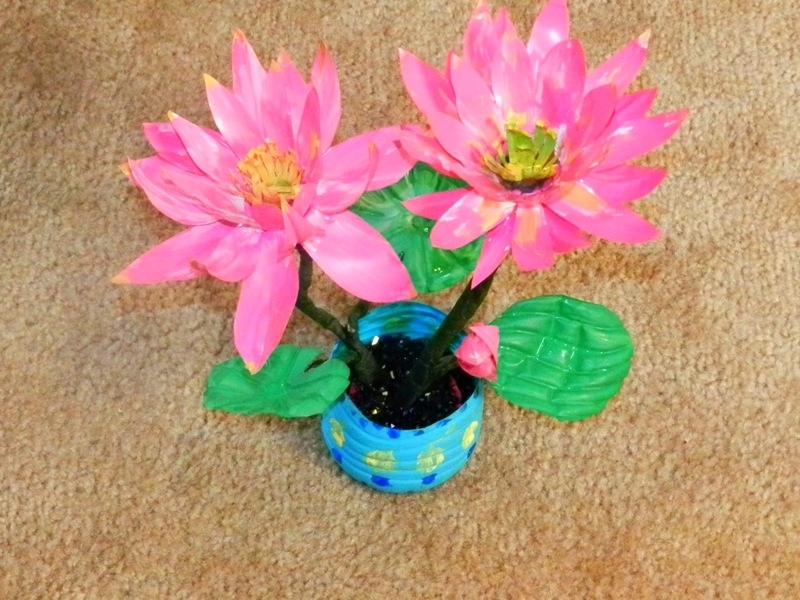 Flower vase made with tissue paper holder flowers! 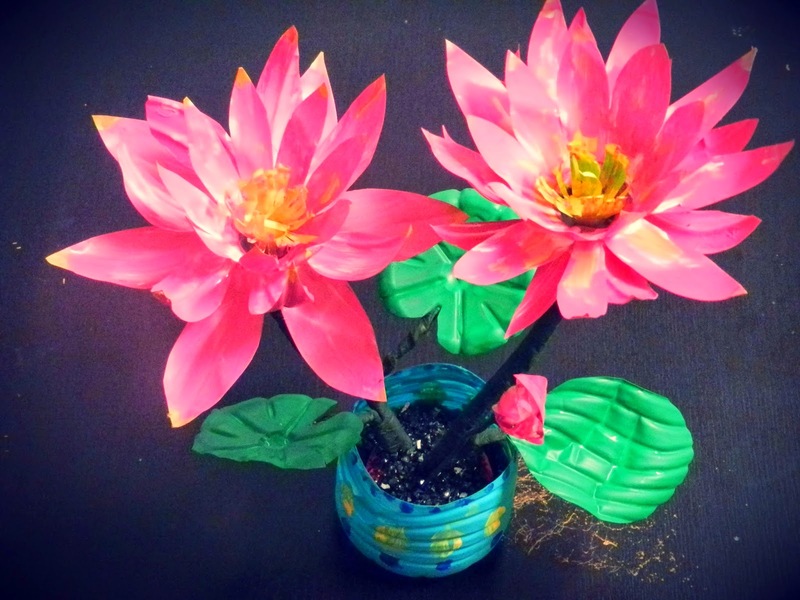 Flower vase made with plastic, sugar, and glitter! DIY pen (spoon or brush) holder with salt tin and woolen thread! DIY crafts: Flower Tower with Paper Plates!